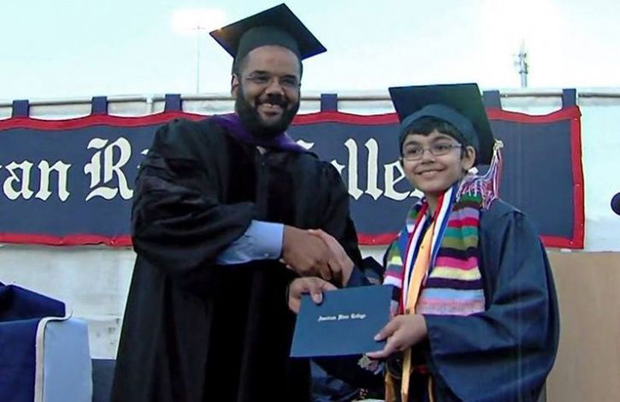 Washington, July 29: Indian-American origin Tanishq Abraham is a child prodigy and that was confirmed three years ago itself when he received three college degrees. Three years later down the lane, the 15-year-old boy has added yet another feather to his cap by graduating from UC Davis in biomedical engineering. The teenager is all set to start his doctorate now. 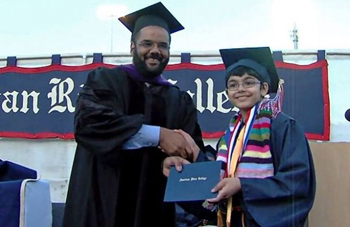 Tanishq Abraham received his degree on Father’s Day, just a few days after he turned 15. Tanishq’s mother Taji Abraham said, “It was the best Father’s Day gift for my husband and also my dad.” Taji, who is herself a doctor of veterinary sciences said that their family was proud of Tanishq’s achievements. As for Tanishq’s father, he is a software engineer. In fact, Tanishq’s grandparents too are both retired veterinary medical PhD doctors. There has been no stopping for Tanishq even after he received his graduation degree. Tanishq and his team presented their senior design project at the grand rounds at the UC Davis Medical Center. He also drove down to Southern California for a biomedical engineering conference wherein he presented his engineering senior design project. Tanishq even attended a three-day crash course at UCD Entrepreneurship Academy with other 45 participants. Flipping back, Tanishq’s parents reminisce how it’s always been eventful for them with their son being a prodigy. The Abrahams had discovered that Tanishq’s uniqueness and realized he was “a few years ahead when he was in kindergarten and it just went from there. He was later enrolled in the American River Community College after he had cracked math courses offered by Stanford University’s Education Program for Gifted Youth (EPGY) in less than six months, all at the tender age of five. At six, he took online high school and college level classes in subjects such as chemistry, paleontology, biology, and geology, and at the age of seven, he enrolled at American, completing courses in Geology and Astronomy. He would be on the top of his class even then.